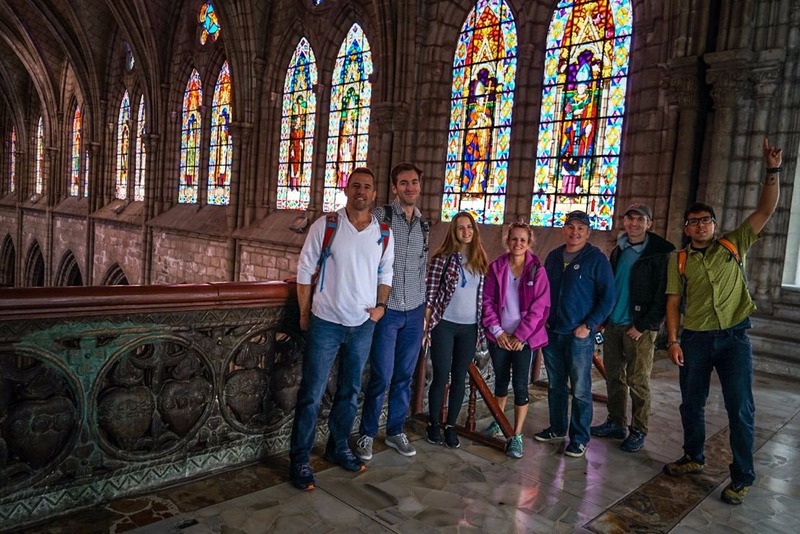 Our Ecuador Climbing School expedition team arrived safely in Quito yesterday and enjoyed a city tour. Not only is Quito at high altitude (9,350′ / 2850m) it is a UNESCO World Cultural Heritage Site. 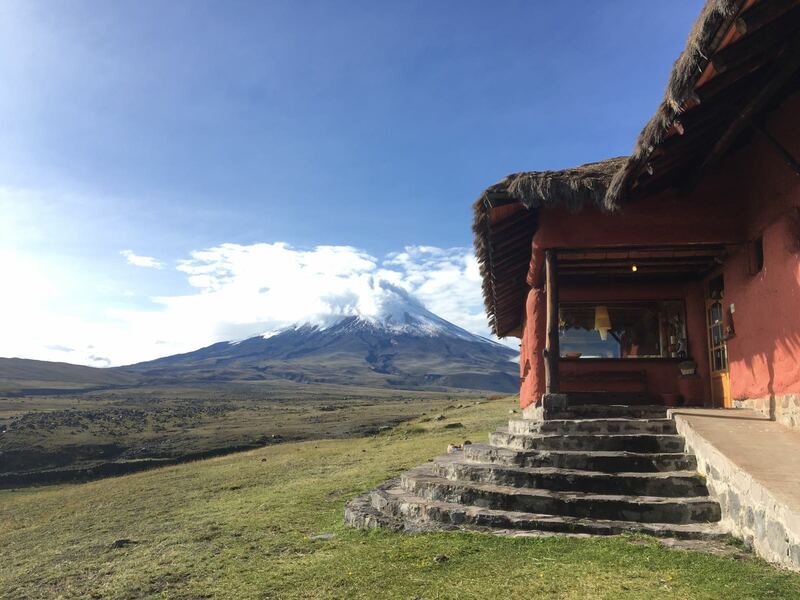 Day 1: The team arrived safely in Quito (9,350′ /2850m), already pre-acclimatized for the Cotopaxi Rapid Ascent expedition. 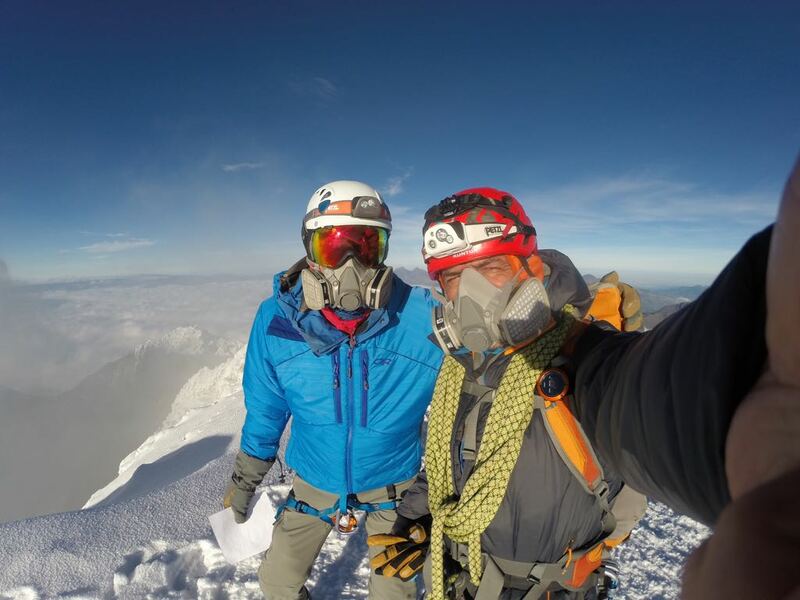 For questions on our Cotopaxi Rapid Ascent Expedition or any of our expeditions and courses please contact us at info@alpenglowexpeditions.com and 877-873-5376. 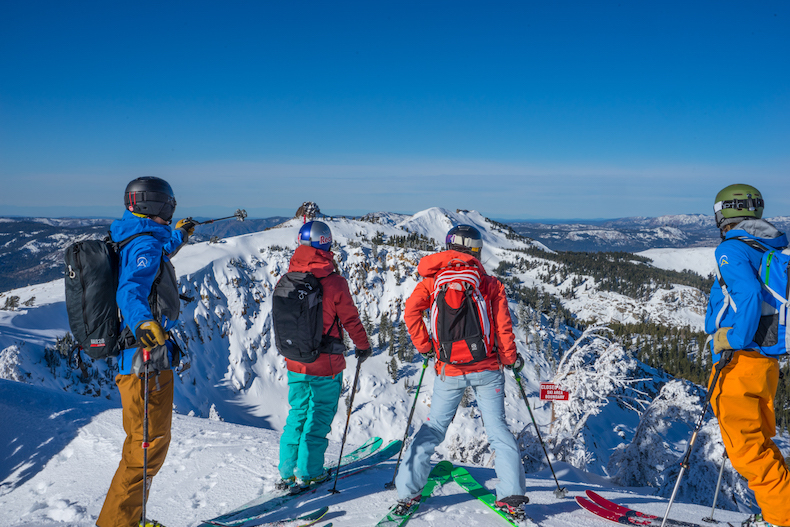 Join us this season for some avalanche education. 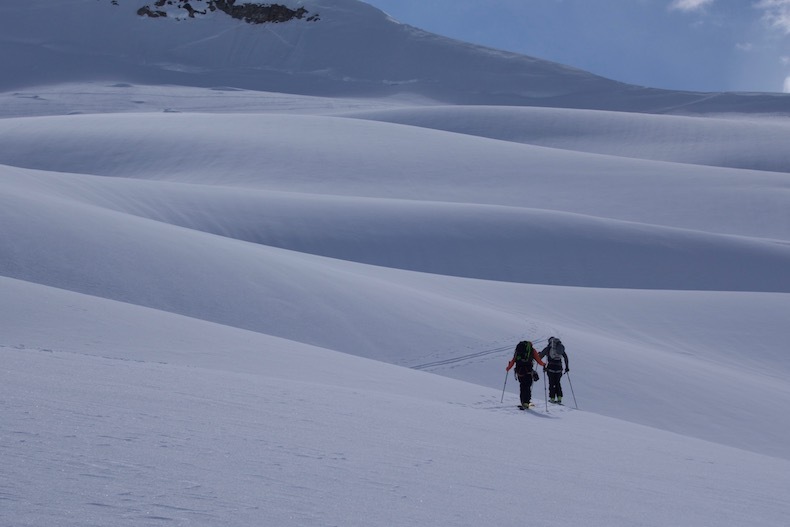 In addition to the Level 1 course, we are offering two new courses, the AIARE 2 and also a 1-day Avalanche Rescue course (which is a pre-requisite for the AIARE 2). See below for a brief description of all three AIARE courses we offer with Alpenglow. 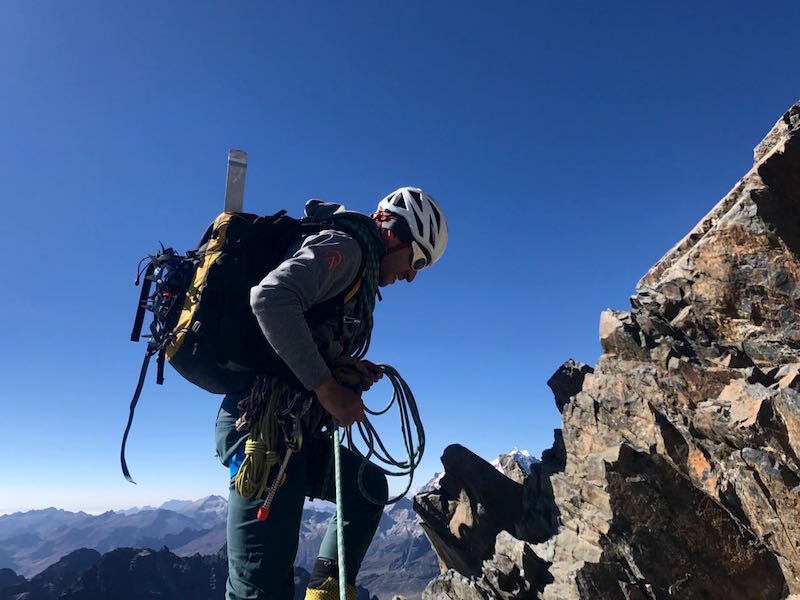 Pictured climbing is lead guide, Gaspar Navarrete, before the team summited Pequeño Alpamayo (17,482′ / 5329m). Like its famous taller neighbors in Peru, Pequeño’s face is technical yet reasonable. The team is safely off the mountain and prepping to climb two more peaks. 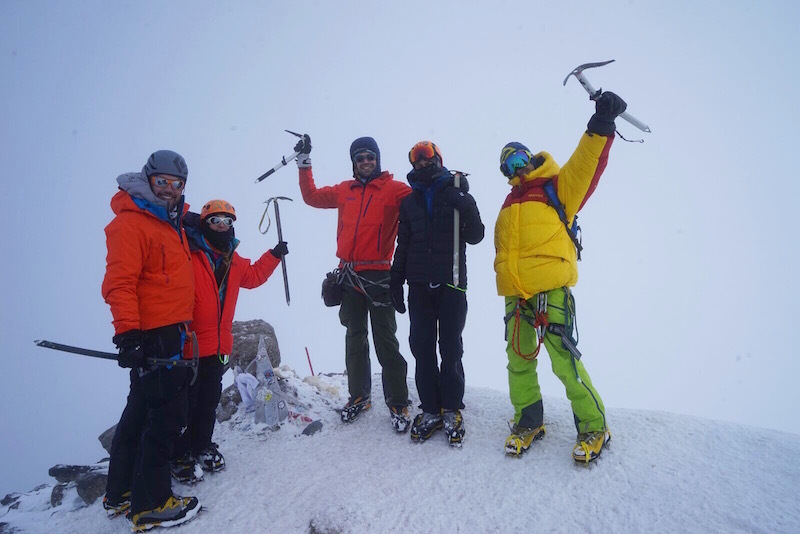 The expedition team is acclimatized and getting ready for the next peak, Huayna Potosi (19,975′ 6088m). Pictured below is the team climbing Tarija. This glacier sits just below Pequeño Alpamayo. The team visited it for a full day of skills training, including crampon practice, ice axe use, self arrest techniques, ropes travel, and crevasse rescue. More updates soon! 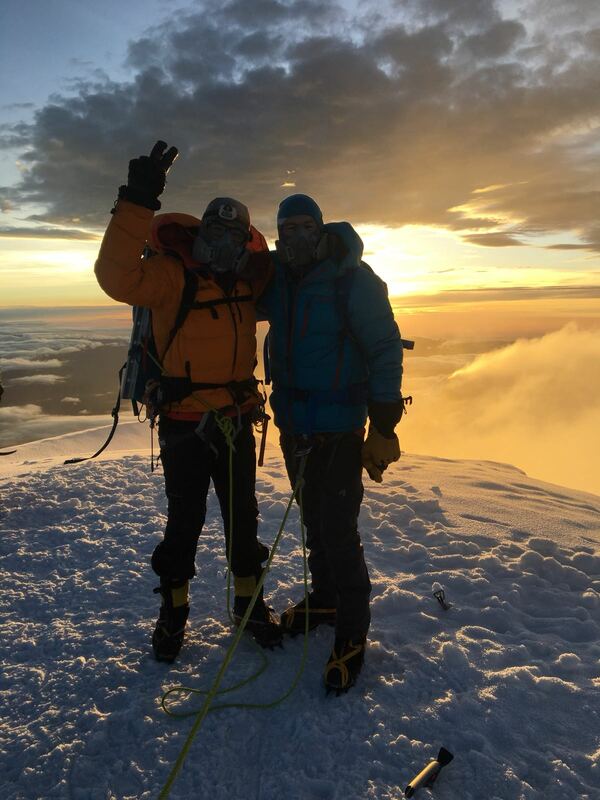 Our expedition team summited Mount Elbrus (18,510′ / 5642m) yesterday morning. 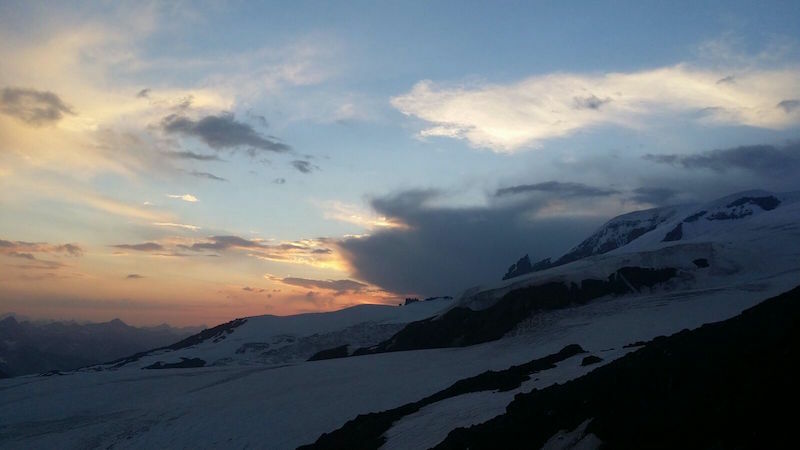 Elbrus is one of the seven summits and it is the highest point in Europe. 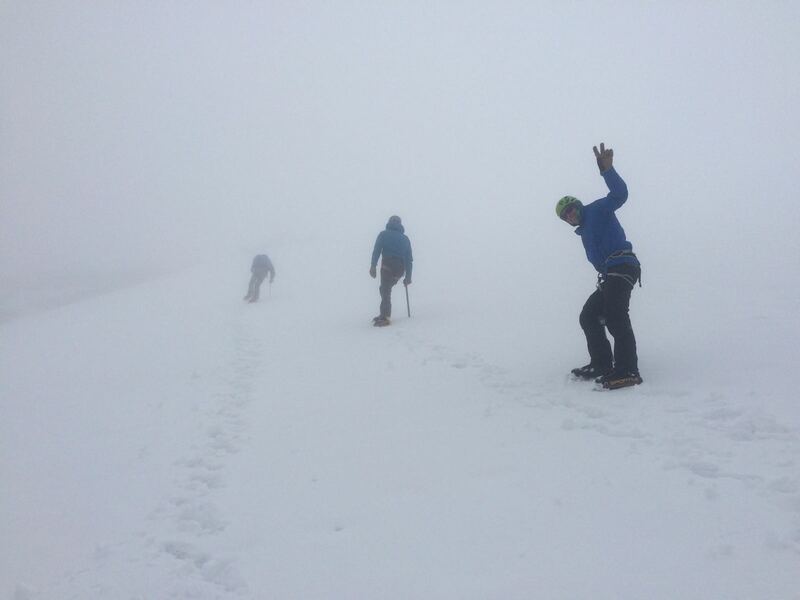 Despite the lack of a view from the summit, the team still had a lot to celebrate! CHEERS to a strong team and a successful summit!